As with any investment, there’s always a certain amount of risk of losing your investment. Crowdfunding is a form of investment, and with it comes risks of fraud. While fraud is quite rare, there are crowdfunded companies that simply raise as much funds as possible and run. iBackPack seems to have done the same. The original Indiegogo campaign for the feature-packed iBackPack finished on October 13, 2015 with $723,395 from 4,041 backers. iBackPack then took to Kickstarter to raise an additional $76,694 from 252 backers. Now over a year later, iBackPack has dropped off the grid, leaving backers wondering where their money went. With over $800,000, iBackPack should have had enough capital to create and ship out its product, but the campaign updates stopped in November. The backpack was originally supposed to ship in March 2016, but was delayed to December 2016. With the first week of 2017 past, backers are getting restless. In iBackPack’s defense, the company did update its Facebook page explaining why it had to delay the backpack, though users were not taking kindly to the news. The company claims sourcing “safe” batteries were the reason for the delays but the lack of transparency has left many users feeling scammed. More worryingly, the iBackPack site is redirecting to a marketing service’s website. The anger from the backers of iBackPack is undeniable, but could the company have avoided the bad press? Yes. As we discussed before, one of the most important things about running a crowdfunding campaign is communication and transparency. Startups must be honest and transparent about their business and production delays while also maintaining a consistent update schedule. Looking at iBackPack’s Indiegogo campaign updates, you can see that the company started off strong with tons of updates, but fell off dramatically. It’s this lack of communication that scares your backers, who are your campaign’s biggest advocates. The last several months of updates have also been short, one or two sentences with embeds of YouTube videos that have since been removed. 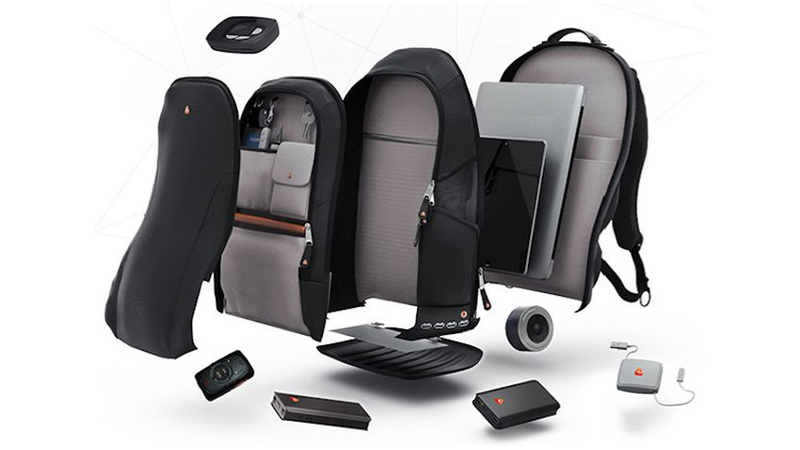 The best case scenario for iBackPack and its backers is that the company actually delivers its product no matter how delayed, but the damage will have been done. iBackPack has lost the trust of its backers and will fail if it wants to ever crowdfund again or if it seeks investment from angels or VCs. Also note that its not just Ibackpack. Doug Monahan the CEO has (after research) done this upon multiple campaigns. Very disappointing to have invested around $800 in the idea for myself and family just to have the carpet ripped out from under me. One more big thing to note is that this Campaign originally started in 2015 with promises of deliveries but being told then that “they are happy to announce switching to a polymer battery that is safer and wont explode.” Its a sad day and IGG doesnt protect its backers like Kickstarter and therefore are just as much to blame as ibackpack for the non delivery. Loose policies create bad business practice and companies. Not just lost faith in iBackpack. I’ve lost faith in IGG and Kickstarter. There’s no accountability and nothing that they’ll do. It obviously doesn’t take someone smart to scam the system. iBackpack was doomed from the start. Doug Monahan has a history of ripping people off with his previous ventures. How do people like this keep getting away with it time after time. This guy should be in jail by now. Time to find him. With all the technology and people out there that were scammed. Someone should be able to get Doug in front of Dateline, an attorney General. Etc. The thing is your article is already flawed. Backers werent displeased with the battery problem. The original battery announced with the Ibackpack was announced to be Polymer and not the lithium Ion. When the hoverboards started spontaneously combusting, Doug sent out an email saying that he was very happy that they initially chose polymer over lithium ion and that they “dodged a bullet.” I have all the original emails from the start of the campaign to all of the backpedal/misinformation that he has been spreading this last year. He is a scammer and needs to be brought up on charges. Recently he even went as far as to fake that someone stole his whole identity and was spreading lies and possibly trying to scam people. Whats funny is that we have all spoken to him on the phone and can now see he is a pathological lier! I ordered the iBackPack in March of 2016. After constant deadlines missed, I contacted customer support on two separate occasions. This is when there was a person to talk to, the early days of the campaign. I was promised the product on various dates and both times the reps tried to talk me into upgrading and spending more money. I feel very burned by this and have never made a contribution since to some potentially great ideas from other companies. Doug should either refund everyone or get a good product out to all of us who paid for it. If not, the Consumer Protection Agency and the Attorney General’s Office should investigate Doug and his iBackpack company, as well as any earlier possible “scams” he has participated in. It’s time to face the music Doug. Provide a product as good as you promised, or issue a refund and an apology for this ridiculous situation you have put us all in. This is a hilarious product. Nothing they offered was really their own proprietary technology. Not even the thermos! How exactly was this thing supposed to become “your own wifi hotspot” … without connecting to ANOTHER wifi hotspot? Think about that for a moment. Jeebuz man, how did people get taken in by that? It could even have been argued that the “USB outlet” was simply a sensibly placed opening through the backpack itself. Whomsoever got taken in by this thing, was surely lured by the promise of a wifi hub above all else, wouldn’t you think? And one has to wonder just how large of an additional battery one might need for charging iphones between available electrical outlets. They should at least have offered some sort of SOLAR component so as to “green it up”! Maybe even a wind power mast? Above all else, you’ve got to admire the moxy of marketing an electronics package THAT big, with a screen as small as a “smart”-phone! Surprising they didn’t think to include a KEYBOARD so that people could type at a normal speed without the usual carpal tunnel syndrome thumbs and eyestrain….